Sure, if you have a crisis (e.g., your CEO is being led out of the building in handcuffs or one of your employees stole money from a customer), you will have the media at your door. But this column is not going to be dedicated to crisis management. Instead, let’s focus on when you have good news. How do you get the good word out when the mainstream media these days is pretty much focused on dumpster fires? Let’s look at the problem first. You are part of it. You and a lot of other people are not buying the newspaper anymore. Don’t even get me started on how much time you’re spending on Facebook rather than watching your local news. Here’s a shocker: media is a business, and because they have shed an incredible numbers of eyeballs, not to mention subscribers, a lot of them are having a tough time making a go at it. The first thing that gets cut under this immense pressure is reporters. The second thing is your good news story. Where do you go with your good news story? Take heart; the answer is right in front of you. Here is a hint: the first word in PR is ‘public.’ Second word is ‘relations,’ of course. That’s it. Nobody put the word ‘media’ in there. Back in the day, media was the way you connected with the public. But, being back in the day, you had access to probably two papers (a morning paper and an evening paper) and three television stations. That black-and-white existence was a long time ago, so it is time to throw out most of the promotional tools we used back then as well. The good news? Connecting with the public, your public, has never been easier. That is where brand journalism comes in. Brand journalism, in today’s digital world, is very powerful. However, with great power comes great responsibility. Your good news has to be relevant to your audience. That relevance is not judged by you, it is judged by your target audience. If you were the king or queen of relevance, then you could post all day about how proud you are to support this or that. You would use #proud and probably an image of you giving some organization a big check. Or, you would simply start your lead sentence with “check it out,” and your audience, of course, would gobble up your good news. But, alas, you are not the king or queen, and “proudly proud/check it out” is not brand journalism. Here is another news flash. Machines run the digital world. If your audience doesn’t like your content, chances are the machines won’t either. Quite simply, if you are relevant in your audience’s eyes, they will click, read, spend time on your page, and maybe share, and all that will be observed by the machines. They will then help your content to travel to even more eyeballs. Sure, I know, you can boost (pay to promote) “proudly proud/check it out” news, but that just means you’re shoving that content into your audience’s face. Ever try to get a toddler to eat creamed corn? It’s a mess. What is good brand journalism? You need to tell a story about something you are proud of and why, and do it without using the words ‘proud,’ ‘proudly,’ or ‘check it out.’ If you’re supporting a cause, tell the story of that cause and why it is important to the community. That is a story that gets read and shared. You can also have employees tell stories about how and why they feel they make a difference in the community and or in the lives of their customers. If these stories are authentic, they also will pass the relevance smell test. It doesn’t end with just causes and good deeds. You can tell stories about products and services. ‘Check out our products’ is not a story. On the other hand, digital audiences relish how-to’s, so how to use your product or service to do something they want to do is a subject that is meaningful. If you are in business, you are an expert at something, so try to think of how your product or service improves your customers’ lives. That style of content, sometimes referred to as content marketing and a cousin of brand journalism, can be very effective. Here is where the fun starts: you don’t have to write all this stuff. You can use video. I know, video is so scary, and cameras have been proven to make people sound stupid. Find someone who can talk on a subject and ask them to do the video. The internet loves video. Google loves video. Search-engine optimization (SEO) loves video. You need video. I’m not kidding … run out and start videotaping right this second. Then throw it away and get a pro to help you. This content in its full form should live on your website. You do want to pay for dissemination of both your brand journalism and content marketing. Using social-media marketing or Google Ads gives you tremendous reach and targeting power and it is very affordable. Your plan should be to promote this content to your target audience and lead them back to your website for consumption. That, of course, is where the sales funnel starts, and should you have Google Analytics on your site, you can observe their behavior once they get there (traffic, unique visitors, time on page, migration to other pages, etc.). Oh, one last thought. Those of you who are smartypants already know that this article is an example of what I was talking about: brand journalism and content marketing. Paul Kozub stands in front of picture of his new distillery in Poland. Almost from the day he started V-One Vodka, Paul Kozub has been dreaming about, and planning for, the day when he’d make his product himself, at a distillery he owned in Poland, the birthplace of his ancestors — and vodka itself. Now, that day is here, and Kozub believes this huge investment will enable him to scale up his venture on a dramatic level. Paul Kozub says the hardest part about the whole thing was keeping it a secret. And that’s saying something, because there were many hard parts to his ambitious plans to building his own distillery to produce the Vodka label, V-One, that he brought the marketplace nearly a decade ago. There was the process of finding a location in Poland, birthplace of both his ancestors and vodka itself, or so the story goes, as well as designing a facility and getting it built. And none of that could happen unless he sold enough shares of his company to raise the needed capital — but not so many shares that he would lose majority ownership of the venture. But the keeping-it-all-a-secret part? That was quite necessary because, if word ever got out to those who had been producing his vodka since he launched his label that he was going into that end of the business himself, then they would stop producing it for him posthaste and leave him scrambling to not only fill orders but find someone else to make it in the interim. So Kozub went to great lengths to keep his search and then his building project a secret. And, as he said, it wasn’t easy. As noted, he said this at a press conference, which means this huge development for the company is no longer a secret. Kozub told those friends who were producing his product (the operative word there is ‘were’) about it a few weeks ago, and he said they quite happy for him. At the Feb. 26 press conference, he told several media outlets, supporters, clients such as MGM Springfield, area bars and restaurants, and more. 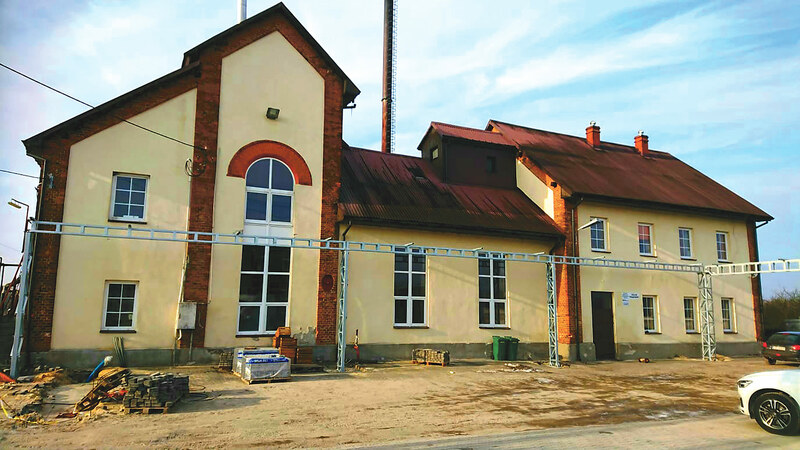 The distillery in Kanien, Poland has a long history, and V-One Vodka will be writing an intriguing new chapter. It was an emotional announcement and an intriguing new chapter in the V-One story, which started back in 2003, when Kozub started distilling in his home in Hadley after using a $6,000 inheritance from his “Polish moonshining grandfather” to buy some equipment. There have been a number of milestones along the way, from the creation of his signature bottle to expansion into different markets; from the addition of several new flavors to Kozub’s being named BusinessWest’s Top Entrepreneur for 2016 (in recognition of all of the above). 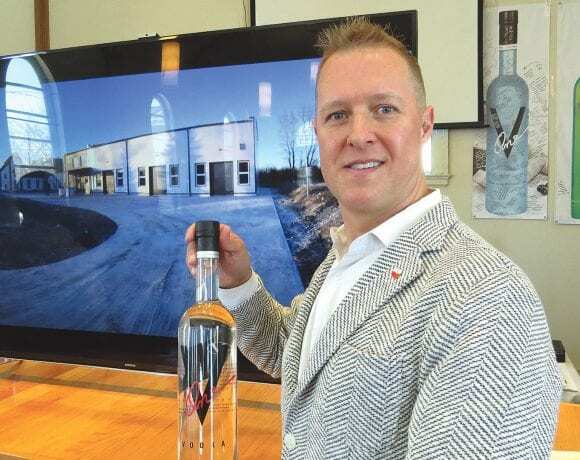 The distillery, which he describes as a “multi-million-dollar investment,” without being more specific, represents the next milestone and one Kozub believes will greatly accelerate growth of the company. Elaborating, he said he doesn’t have a firm timetable, obviously, but expects to expand outside of New England and down the East Coast in the years to come, and will then look to expand globally. For now, though, he’s focused on getting the first bottle off the line in Kamien, something that should happen on or around April 1. 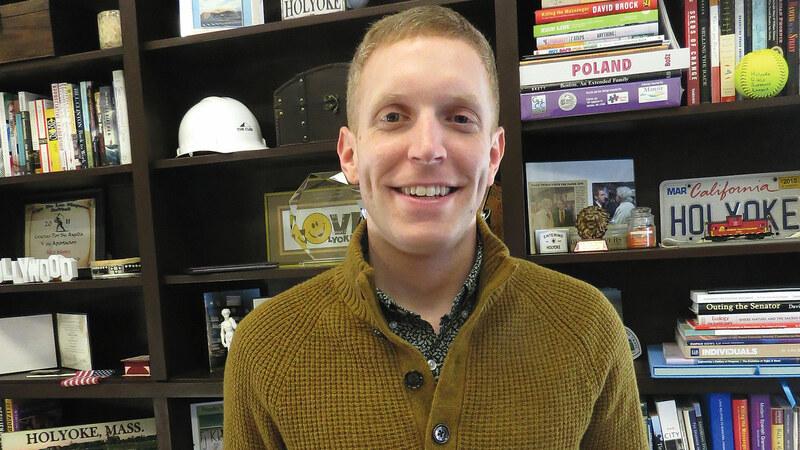 For this issue, BusinessWest looks at everything that has brought Kozub to that moment and at what will likely happen next. As he announced his expansion into Poland — a return to his family’s roots, if you will — Kozub did so with a type of high-tech slideshow. Only it started with a few low-tech pictures that captured some of those milestones described earlier. One was of his first house in Hadley, a small Cape that he moved into just a few days after his Polish grandfather died, and another captured its basement, where he first started making vodka, or “moonshine,” as he called it. A third zoomed in on the special plumbing that enabled cold water to run through the still, a development that made everything that’s happened since possible. Other pictures captured his first V-One bottle and his first van, which he purchased soon after going into business. He would load it with 100 cases of V-One and deliver it to clients across the region himself. The addition built onto the distillery brings all aspects of the business together in one place — from production to bottling to warehousing. Yes, that’s a lot of firsts. But to take the venture forward in a meaningful way, Kozub said he needed to control production of his vodka with his own distillery. He said he’s known this almost from the beginning, but the costs of such a facility have been imposing and, until recently, prohibitive. But knowing he needed to take this step, he raised capital by taking on additional investors as part of a process that really began a few years ago. Subsequent steps included scouting locations and kicking the tires on existing distilleries available for acquisition. With that explanation, his show shifted to video captured by his phone as he traveled through the community he eventually chose to be home to his distillery. Home, meaning the actual distillery itself, has been around for more than 133 years, and thus it has some history, said Kozub, noting that, during World War II, the Nazis took it over and produced different kinds of spirits. The next chapter in its history involves a sizable expansion necessary for producing V-One in the quantities that Kozub is envisioning for the years and perhaps decades to come. Indeed, the facility will include, in addition to the distilling equipment, laboratory space (mostly for R&D and new product development), a bottling area, and warehouse space. Thus, when asked what this ambitious move does for the company, Kozub said quickly, “it makes everything better.” Elaborating, he said that, almost from the beginning, he has understood the critical need to have more control over every aspect of the V-One operation, especially production. 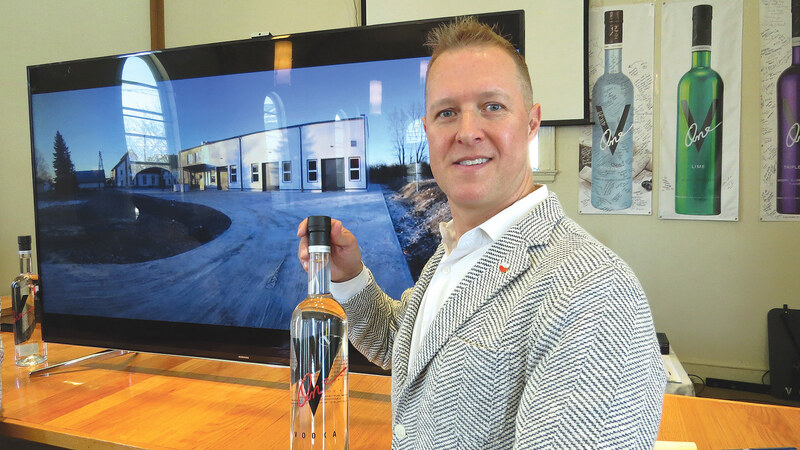 Beyond control, Kozub said this expansion into Poland and the opening of his own distillery allows him to accelerate the process of growing the V-One label and taking it into new markets — in this country and then eventually abroad. Moving forward, Kozub said that, while he did a sell an interest in the company — something he could do only after its raising its value over the past decade through new products and a wider reach market-wise — he is still the overwhelming majority owner, and still one who is quite hands-on and involved in all aspects of the business. That said, he still plans to spend the vast majority of his time in this country, and probably visit Poland about as much as he does now — maybe once a quarter. 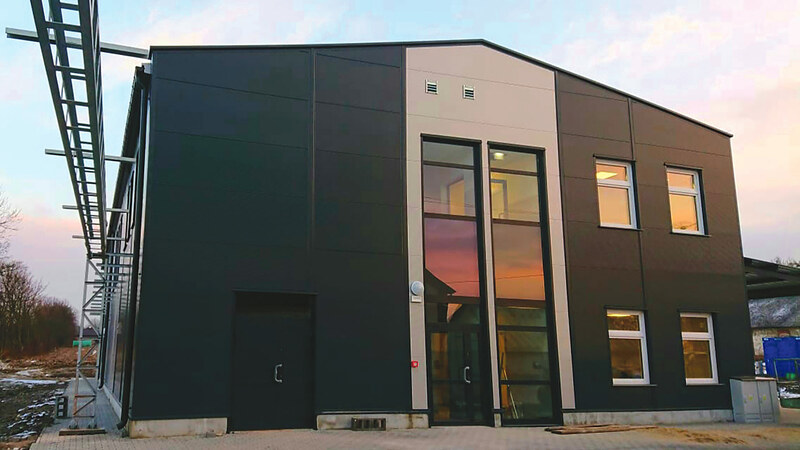 While leaving actual production in the hands of a manager in Poland, Kozub will focus on the proverbial big picture and, more specifically, territorial expansion for V-One and a scaling up of the operation. And having his own distillery, as he said, will certainly help in this regard. Expanding within the U.S. and then overseas markets will obviously require more capital, he added, and he plans to sell additional shares in the business within the next year. As he continued his slideshow presentation before the press and his supporters, Kozub placed a map of Poland on the screen to show exactly where his distillery will be located. He did so to offer a point of reference, offer up a short lesson on Polish geography, and also show where his ancestors are from — a small town not far Krakow. But he also did it to be a touch poetic. “This really helps put on us on the map,” he said of the distillery, using that phrase to say a great deal. This venture is now on the map, literally, and its product will be on — meaning available to — a much larger chunk of the map in the years to come because of what this facility will enable the company to do. 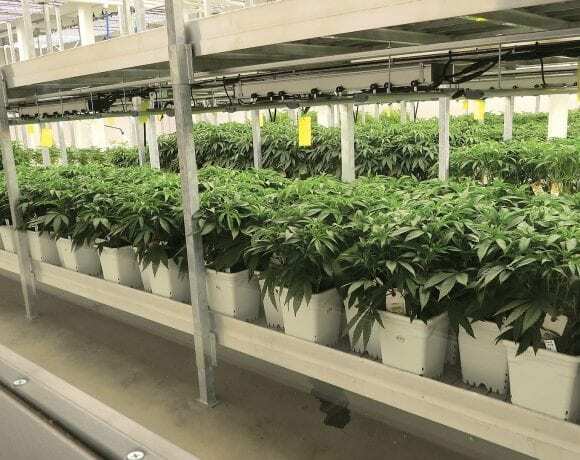 GTI’s cultivation facility in Holyoke has been operating since last summer, and many new ventures could be opening in the years ahead. Alex Morse says his phone was already ringing — quite frequently, in fact — before he was interviewed on CBS This Morning late last June. But then, it really started ringing. And his e-mail box became even more crowded. That’s because, with that report, Holyoke’s efforts to roll out the welcome mat for the cannabis industry, pun intended, became a national story rather than a local story — although it was already well-known. Yes, this was the detailed report where Morse told CBS that the city once known as the ‘Paper City’ might soon be known as the ‘Rolling Paper City.’ His tongue wasn’t in his cheek, and there was a broad smile on his face as he said it. And they’re comparing it, in some ways, to the cluster that put this city on the map — figuratively and quite literally (this was a planned industrial city) — the paper and textiles cluster. As they used that word ‘cluster,’ both Morse and Marcos Marrero, the city’s director of Economic Development, said it means more than the creation of a number a number of businesses and jobs in a specific sector, although that’s a big part of it. It also means establishment of an infrastructure of support services that can have a large multiplier effect, if you will. Elaborating, he said cannabis-cultivation facilities require highly specialized construction, lighting, anti-contamination, air-movement, and security systems, and all this adds up to opportunities for companies in this area that can handle such work. 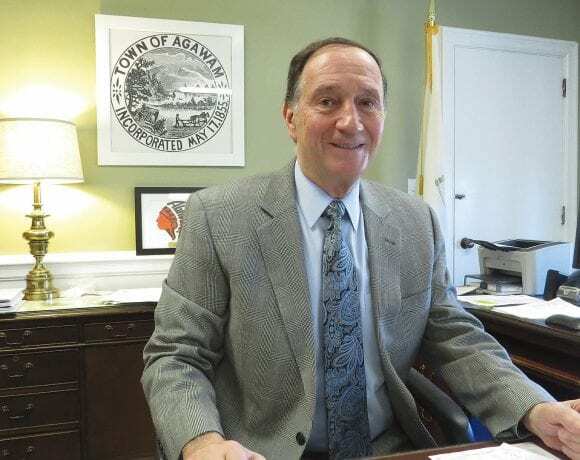 In many ways, Holyoke is well on its way to seeing this cannabis cluster become reality, said Morse, noting that one large cultivation facility, Green Thumb Industries (GTI), is currently operating in a former textile mill on Appleton Street. And there are several other businesses across the wide spectrum of this business — from cultivation to retail — moving their way through the involved process of getting permitted to operate and eventually absorbing some of the vast amounts of commercial real estate that are vacant or underperforming. Largest Employers: Holyoke Medical Center, Holyoke Community College, ISO New England Inc., PeoplesBank, Universal Plastics, Marox Corp.
“For us, cannabis is another form of manufacturing that’s bringing buildings back to life, being a revenue generator and job creator,” said the mayor. And as they say in the agriculture business, Holyoke is certainly fertile ground for the cannabis industry. Indeed, it boasts, by the mayor’s estimate, 1.5 million square feet of vacant or underutilized former mill properties. Meanwhile, it has, again, by Morse’s calculations, the lowest electricity rates in the state (Holyoke has its own municipal utility), and it has something just as important as those ingredients — a giant, figurative ‘welcome’ sign when it comes to this business, as will become clear later. But cannabis isn’t the only positive development in this city. Holyoke is also making great strides in ongoing efforts to attract entrepreneurs and arts-related businesses. It is also convincing more people, especially the younger generations, that this is a place to live as well as work and operate a business. And it’s seeing many of those aforementioned mills being put to creative and momentum-building uses. 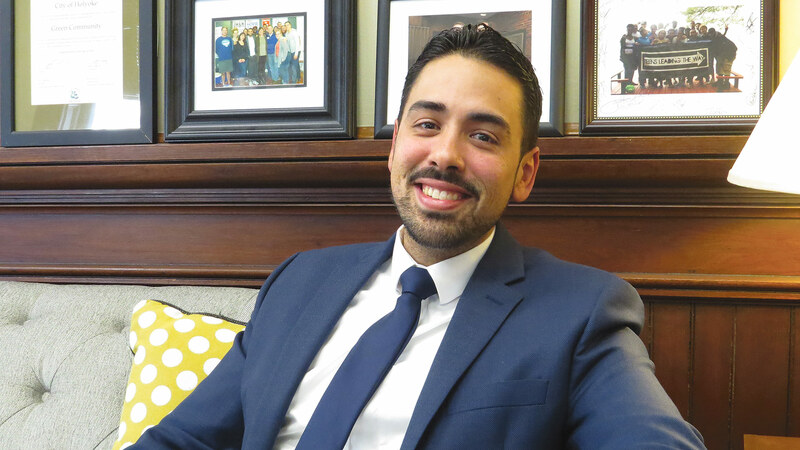 Mayor Alex Morse, an early supporter of the cannabis industry, says its many components collectively form an economic driver in Holyoke. All of the above can be seen in one high-profile project known as the Cubit Building, the structure on Race Street that takes that shape. The first two floors are now occupied by the Holyoke Community College MGM Culinary Arts Institute, a story that embodies education, workforce development, and economic development, and in the floors above are apartments that were leased out even quicker than the optimistic owners thought they would. 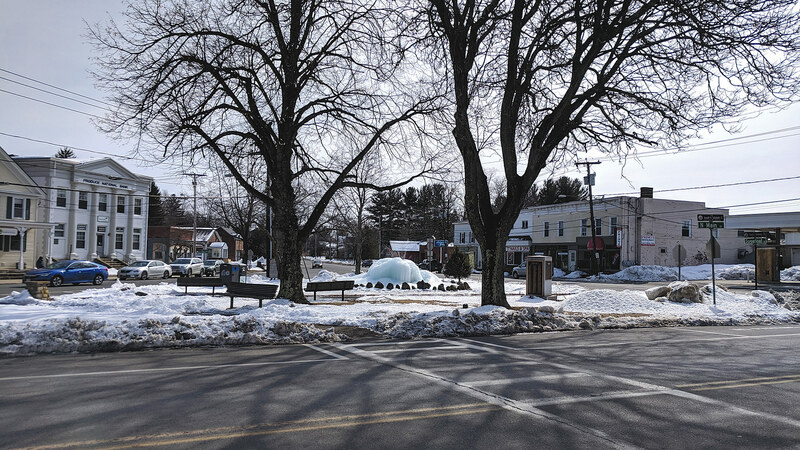 Lights are coming on all over Holyoke, and for this, the latest installment of its Community Spotlight series, BusinessWest examines how this has come about and why Holyoke is creating a buzz — in all kinds of ways. As noted, this cannabis cluster is a solid work in progress, with GTI now approaching a full year in business and several other projects in various stages of development. 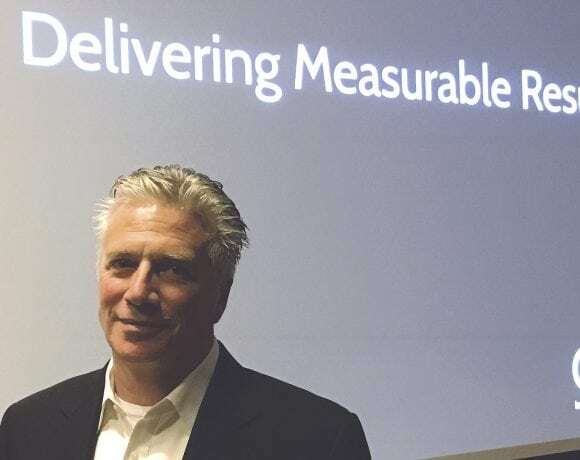 Conducting one of those ‘if-all-goes-well’ exercises, Morse said he can envision a cluster that generates perhaps 300 to 400 jobs and many types of businesses, from cultivation facilities to cannabis cafés like those in Amsterdam. 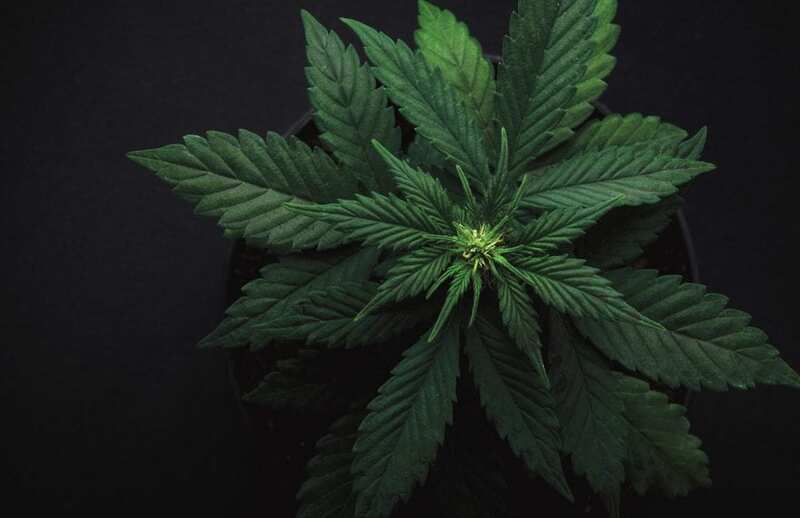 If that picture comes to fruition, marijuana-related businesses would constitute economic development in many different ways, from jobs to tax dollars; from revving up the real-estate market (aspiring ventures have acquired options on a number of properties) to giving tourism a boost; from creation of support businesses to helping give Holyoke a new brand. As Morse told CBS — and BusinessWest — cannabis has become an economic driver. And city officials have had a lot to do with this by being so aggressive, welcoming, and accommodating. As one example, Morse and Marrero cited the host-community agreements that such businesses traditionally sign in order to set up shop. Some communities have been excessive in their requests (or demands), while Holyoke has taken a different tack. 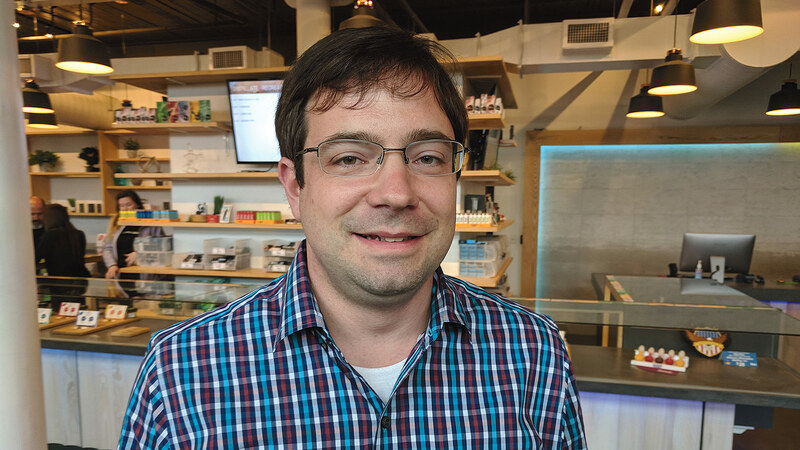 Holyoke’s willingness not to push for every dollar or every concession, on top of its many other selling points, including available mill space and lower utility costs, have certainly caught the attention of the cannabis industry. 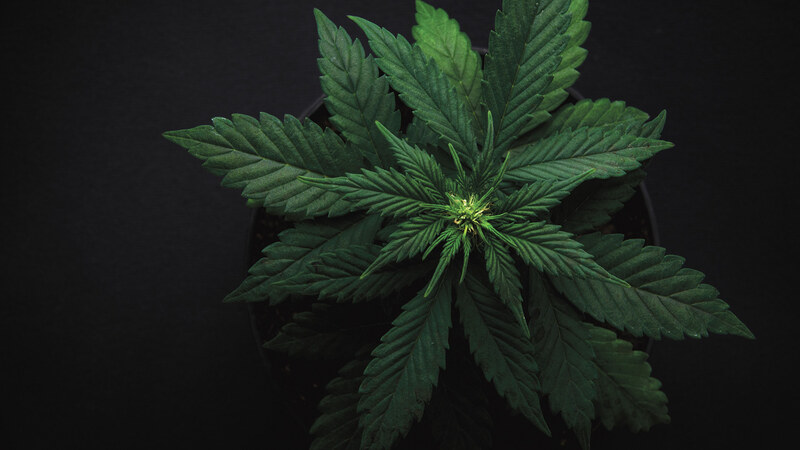 This attractive package has attracted a number of interested parties, said Marrero, noting that two additional cultivators, East Coast Farms and Solurge, are working their way through the permitting process. Overall, a total of 15 host-community agreements have been executed, and seven special permits have been issued. 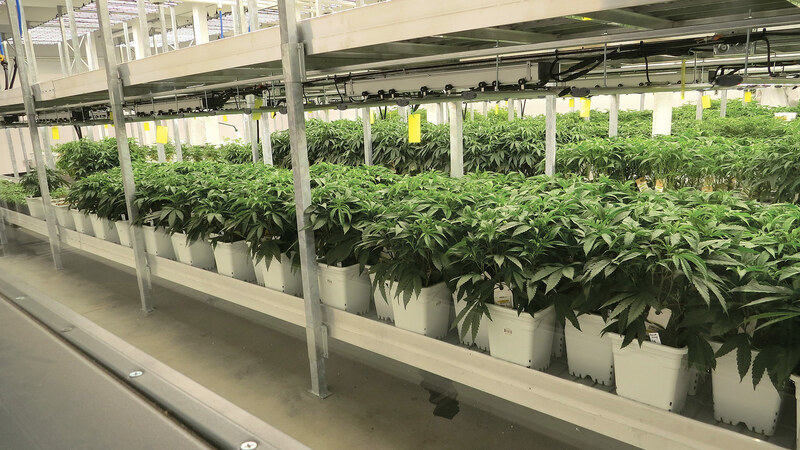 Within a year, it is expected that another two or three cultivation facilities could be doing business in the city, and other types of cannabis-related businesses as well. And as the cluster grows, it gains momentum and recognition, which fuels additional opportunities. Marrero drew some comparisons to Detroit (the car industry) and Silicon Valley (IT). Marcos Marrero says a cannabis cluster is bigger than the sum of its parts. As noted earlier, though, cannabis is just one of many intriguing economic-development-themed stories being written in what is still called the Paper City. Others include everything from the culinary arts center and the sum of the Cubit Building’s many parts to ongoing evolution of the Holyoke Mall — one of the city’s main draws and largest employers — in response to a changing retail landscape; from redevelopment of two municipal properties — the former Lynch Middle School and the Holyoke Geriatric Authority building — to entrepreneurial-ecosystem-building efforts that are bringing new businesses, and jobs, to the city. At the mall, as stores large and small shrink or disappear from the landscape (longtime anchor Sears closed its Holyoke store a few months back) and those that remain operate with a smaller footprint, the facility is changing its look and adding more entertainment-related businesses, said Marrero. These includes more restaurants, a bowling alley, and a planned movie-theater complex, he said, adding that, overall, the mall is responding proactively to a changing retail scene. Meanwhile, additional retail will be coming to the city with redevelopment of the former Lynch School, located just off I-91, by the Colvest Group. The property is slated for demolition later this year, and the expectation is that it will become home to several retail outlets. Reuse of a different kind is slated for the Geriatric Authority property, which closed several years ago. Indeed, Baystate Health and US HealthVest have chosen the site for its planned 70,000-square-foot behavioral-health hospital. Plans calls for 120 beds in a facility that would represent consolidation of some of the existing beds in the region and creation of new beds as well. There is progress on many different levels in the downtown area and especially the city’s Innovation District, the area around the Massachusetts Green High Performance Computing Center, which opened in 2012. On the municipal side, there will be several infrastructure projects undertaken in the area over the next several years, said Marrero, including street work, reconstruction of one of the canal bridges, and other initiatives. Meanwhile, the city continues to add jobs and vibrancy organically through entrepreneurship-ecosytem-building initiatives such as SPARK, which recently joined forces with the Massachusetts-based program Entrepreneurship for All, or EforAll, to form SPARK EforAll Holyoke. The new organization offers a number of programs, including a business accelerator, pitch contests, and co-working space currently being built out on High Street that will be available to program members. Launched four years ago, SPARK has helped a number of ventures get off the ground or to the next stage, and most of them have settled in Holyoke, said Morse, adding that these startups, in addition to some others started organically, are bringing more vibrancy to the downtown. He listed a catering venture, a salon now under construction, and a microbrewery on Race Street, among others. And these businesses are helping to fill more of those vacant or underutilized properties. As for the culinary arts center and the Cubit Building on the whole, it is bringing many different constituencies to the Innovation District area, adding to this vibrancy there. These include college students, their professors, those attending functions, and, yes, Morse himself, who has signed up for two night classes, one on how to make macaroons, the other involving a chiffon layer cake. As he was wrapping up his walk through the city with CBS, Morse told the reporter that it would be a good problem to have if the cannabis industry so embraced Holyoke that it found itself running out of commercial space for additional ventures. That’s not likely to happen anytime soon (1.5 million square feet is a considerable amount of inventory), but a cannabis cluster appears to be no longer a goal but a reality. 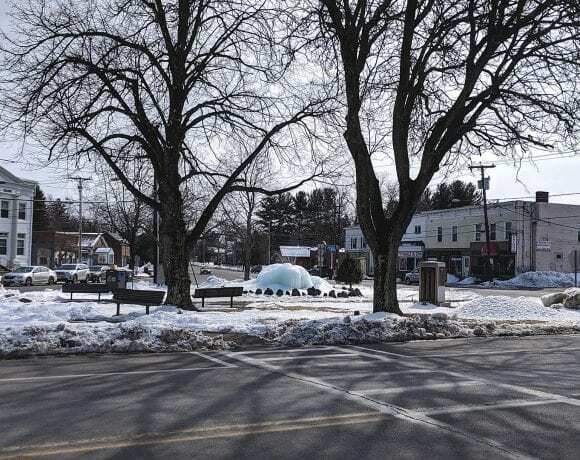 How quickly and profoundly it develops remains to be seen, but Holyoke appears to be well on its way to having history repeat itself on a certain scale. A name change probably isn’t in the cards — ‘Paper City’ will stick — but a new era in the city’s history is certainly underway. 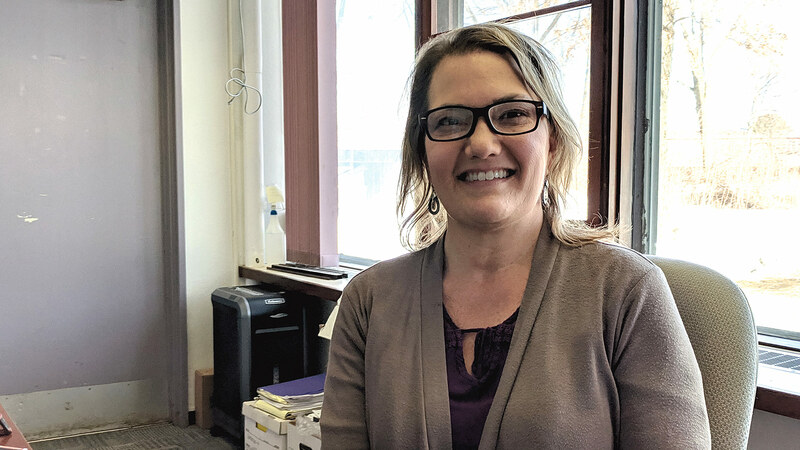 A panel of judges was kept quite busy over the past few weeks, reading, evaluating, and eventually scoring nearly 200 nominations for the Forty Under 40 Class of 2019. Yes, that’s a record, and it’s a clear indication of how coveted that designation ‘BusinessWest 40 Under Forty honoree’ has become within the 413.
Who will be most recent 40 people able to add that line to their résumés? The judges are concluding their work, and the letters alerting the winners should be going out sometime this first full week in March. They will be announced in late April, and the gala is in June at the Log Cabin. Michael Buckmaster, vice president of Commercial Banking for Community Bank, N.A. He has more than 30 years of experience within the banking industry working for a wide range of institutions, from global market leaders in corporate and investment banking in The U.K. to U.S. regional and community banks within the areas of small-business and middle-market commercial lending. Current specialties include commercial banking loan origination and relationship management for small and medium-sized businesses, and commercial investment real-estate financing within the New England region. 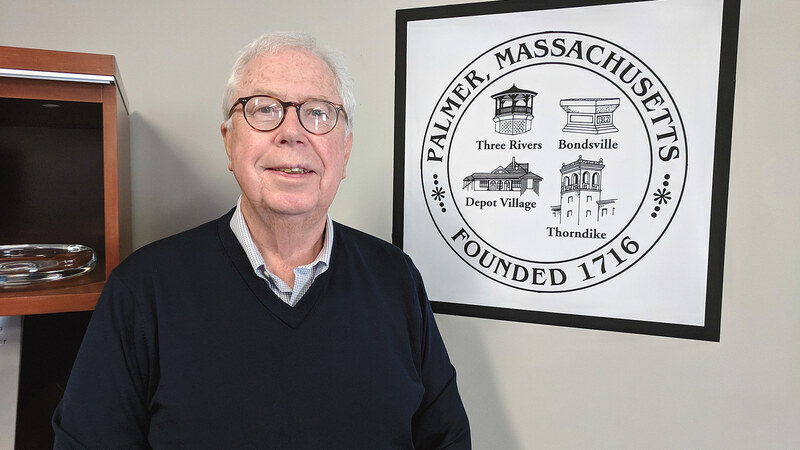 He serves as board president for Hartsprings Foundation (an affiliation of Big Brothers Big Sisters of Hampden County), and as a board member for Big Brothers Big Sisters of Hampden County and for the East of the River (ERC5) Chamber of Commerce. 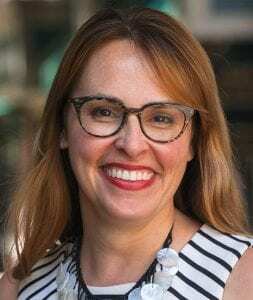 Kristin Leutz, CEO of Valley Venture Mentors (VVM), a nonprofit organization based in Springfield offering mentorship, startup accelerators, and co-working space to build the innovation economy in Western Mass., and 40 Under Forty honoree in 2010. Previously, she was the director of Development for RefugePoint, an innovative NGO, working to help at-risk refugees by improving humanitarian systems. She also consulted with the global philanthropic membership organization Women Moving Millions, creating strategic communications to catalyze unprecedented resources for women and girls. Before that, she served as vice president for Philanthropic Services at the Community Foundation of Western Massachusetts, where she led donor services, professional advisor engagement, fundraising, and communications. She earned a master’s degree in industrial/organizational psychology from Springfield College, a bachelor’s degree from Colgate University, and her yoga teacher certification from Kripalu. 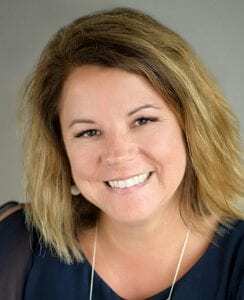 Julie Quink, CPA, CFE, managing principal of the accounting firm Burkhart Pizzanelli, P.C. A graduate of Elms College with a bachelor’s degree in accounting, Quink joined the firm in 2011. She is involved in the accounting and consulting aspect of the practice and manages engagements of various sizes and complexities. She also performs services relative to forensic and fraud-related engagements. Quink is a member of the American Institute of Certified Public Accountants, the Mass. Society of Certified Public Accountants, and the Assoc. of Certified Fraud Examiners. She is licensed to practice in the Commonwealth of Massachusetts and is a certified fraud examiner. Active in the community, she serves in a number of boards for the Quaboag Hills Chamber of Commerce, Baystate Wing Hospital, and Square One. She’s also a member of the School Committee of Pathfinder Regional Vocational Technical High School. 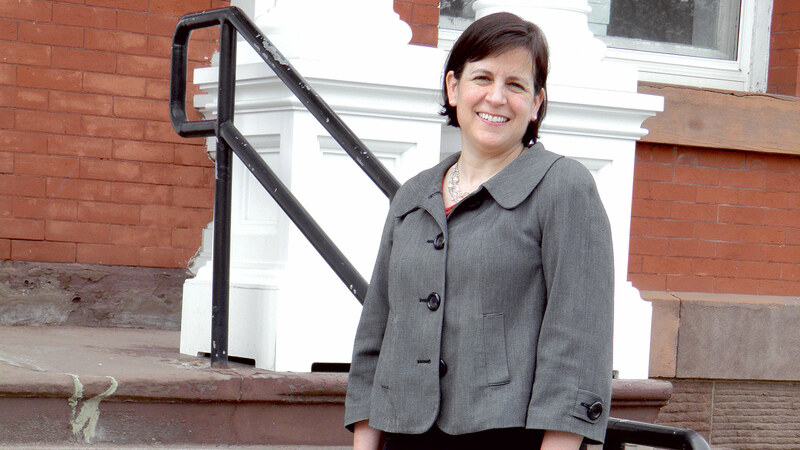 Christina Royal, president of Holyoke Community College. Royal is the fourth president of Holyoke Community College and the first woman to lead the school since it was founded in 1946. 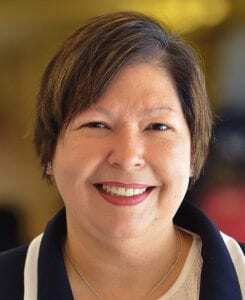 She holds a Ph.D. in education from Capella University and a master’s degree in educational psychology and a bachelor’s degree in math from Marist College. 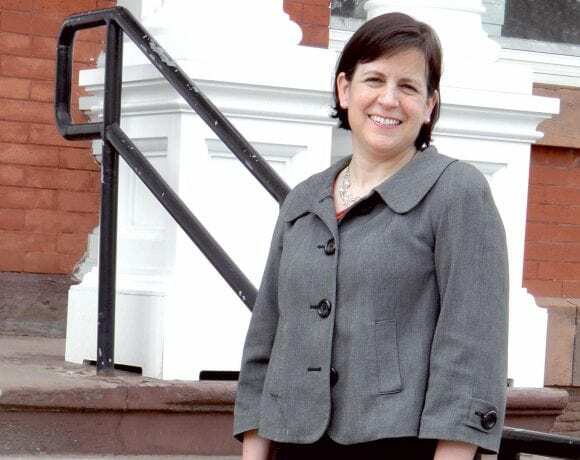 She sits on the boards of directors for the United Way of Pioneer Valley, the Mass. Technology Collaborative, and the American Assoc. of Community Colleges’ Commission on College Readiness. Before coming to HCC in January 2017, she served as provost and vice president of Academic Affairs at Inver Hills Community College and previously as associate vice president for E-learning and Innovation at Cuyahoga Community College in Cleveland and director of Technology-assisted Learning for the School of Graduate and Continuing Education for Marist College, her alma mater. 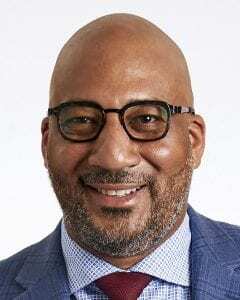 Gregory Thomas, executive director and lecturer at the Berthiaume Center for Entrepreneurship. He works with constituents on campus and throughout the Commonwealth to develop and execute partnerships while also teaching courses in entrepreneurship and innovation. 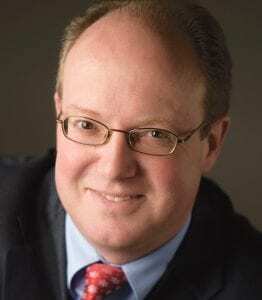 A 1991 UMass Amherst graduate, Thomas held senior-level global roles in his more than 20 years with Corning Inc. 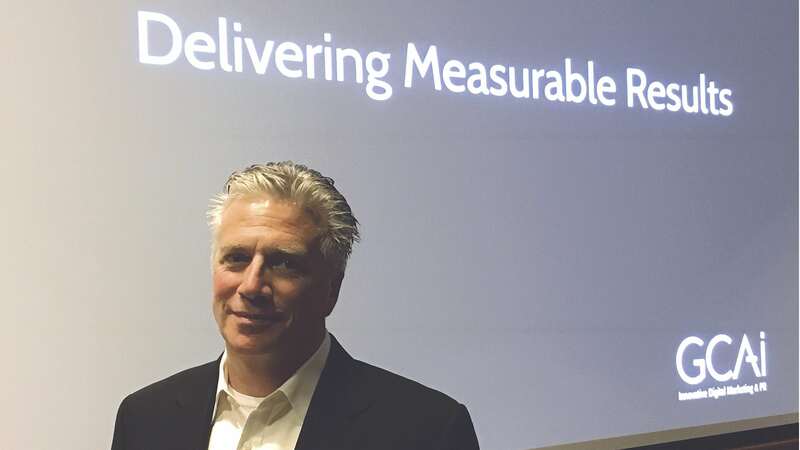 In his last five years at Corning, he was a strategist in the Innovation Group. He is also the immediate past president of the UMass Amherst Alumni Assoc. board. When the Futures Collegiate Baseball League’s newest team steps onto the field in Westfield this spring, it will mark not just the beginning of a 56-game slate extending well into the summer, but also a continuation of a century-plus of robust baseball history in the Whip City — as well as perhaps the most high-profile startup yet from two team owners who are no strangers to either sports management or entrepreneurship. Chris Thompson said he and his business partner, Donnie Moorhouse, had been kicking around the idea of buying a baseball team for years. So, when an opportunity finally arose, they didn’t hesitate to make their pitch. 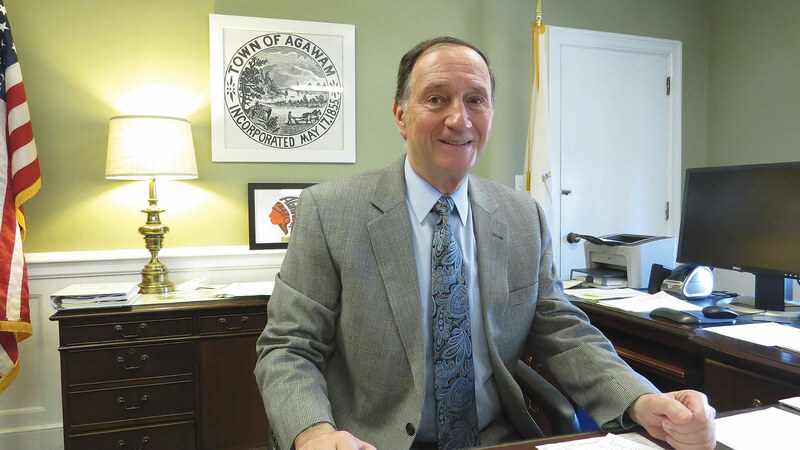 It started with a cold call, Thompson said, to Christopher Hall, the commissioner of the Futures Collegiate Baseball League of New England, back in July. 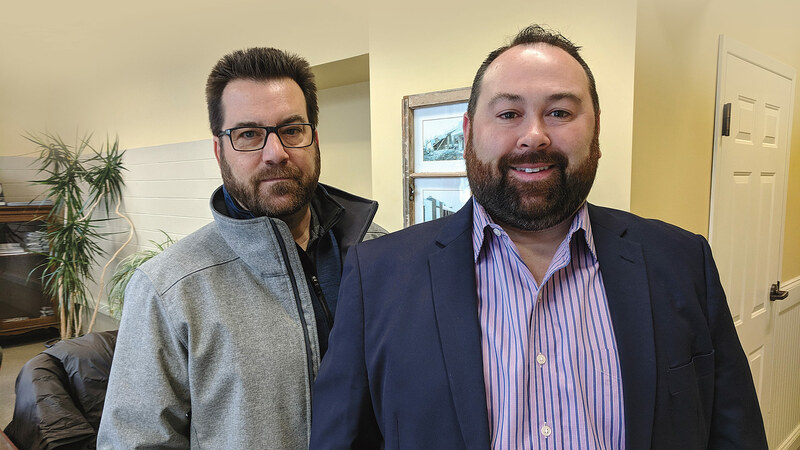 The FCBL was looking to expand, and the 90-minute conversation touched on the business backgrounds of Thompson and Moorhouse, and why Western Mass. — and Westfield in particular — might be fertile ground to grow a league that already boasted four teams in the Bay State. That long talk led to a four-hour meeting in Worcester the following week, and interest on both sides intensified from there. 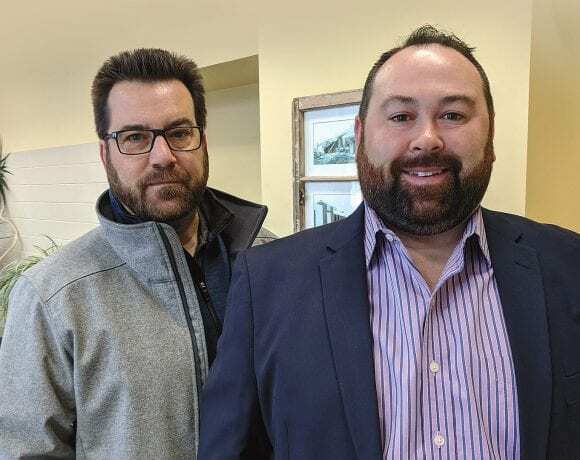 Now, they’re bringing their experience — both in sports management and with entrepreneurship in general — to the new Futures League franchise, which will begin play at the end of May, hosting 28 home games in Westfield. The pair will unveil the team’s name and logo — which reflect a key aspect of the city’s history — this Wednesday, Feb. 20, at 6 p.m. at Shortstop Bar & Grill. Players will be available to sign autographs meet the public, while attendees will enjoy free appetizers and access to the batting cages. He believes he and Thompson do, too. And that’s why they decided to step up to the plate. While baseball has thrived in Western Mass. — most notably, the Holyoke Blue Sox are defending champions of the New England Collegiate Baseball League two years running, and one of the top 10 attendance draws in the country among summer collegiate leagues — Moorhouse says Westfield is a particularly attractive home for a team. “The history of baseball in Westfield goes back to the very beginnings of the history of baseball in this country. When the first organized games were happening around the country, they were happening here, too, on the town green,” Moorhouse explained. He noted that Westfield State University has a well-established Division III team, and the city hosted the Babe Ruth World Series in 2016, and will again this summer. Meanwhile, Westfield High School has a strong track record in the sport — 19 of its alumni are playing college ball this spring. The pair have built a business reputation together as well. Six years ago, Moorhouse launched Mosquito Shield, a commercial and residential mosquito- and tick-control operation. After Thompson came on board, the pair bought a holiday- and event-lighting franchise together. Last summer, they opened Eleventh Avenue Productions, a public-relations consultancy. 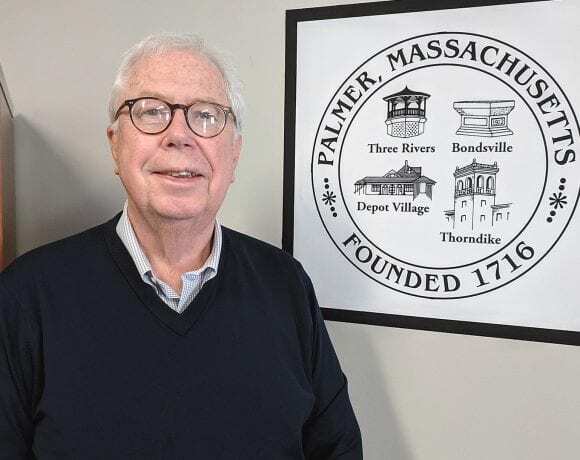 More to the point of sports ownership, Thompson spent 18 years in the sports-marketing arena, working for an agency in Boston, at the American Hockey League headquarters, and for two AHL hockey franchises in Springfield, first the Falcons and then the Thunderbirds. With the pair firmly in “startup mode,” as he called it, there has been some scrambling. Moorhouse hired his son, Evan, who is director of Hockey Operations at the University of Vermont, as the new franchise’s director of baseball operations, essentially a GM position. Founded in 2011, the Futures League has been in growth mode ever since, drawing a league-record 1,514 fans per game in 2018 — the third-highest among all summer collegiate leagues. The league’s other squads hail from Pittsfield, Worcester, Brockton, and Lynn, as well as Bristol, Conn. and Nashua, N.H.
Thompson noted that the opportunity might not have been possible without Mayor Brian Sullivan supporting — and the City Council approving — $1.8 million to renovate Bullens Field prior to the 2016 Babe Ruth World Series. He added that City Advancement Officer Joe Mitchell has been instrumental in helping the pair navigate the approval process at City Hall. The games are also heavily scouted, Thompson added, noting that 30 of its players were drafted last June by Major League Baseball organizations. The league also appeals to players at colleges throughout the Northeast who don’t get as many at-bats as athletes do in, say, Florida or California, where the climate allows the season to start sooner, Moorhouse noted. In other words, people are opening their doors to this opportunity — literally as well as figuratively. Evan Moorhouse is in charge of locating host families to take in players, one of many important details the Westfield franchise needs to nail down in order to make the inaugural season a success. But his father has been following baseball in the city for many years, and knows the interest is there.